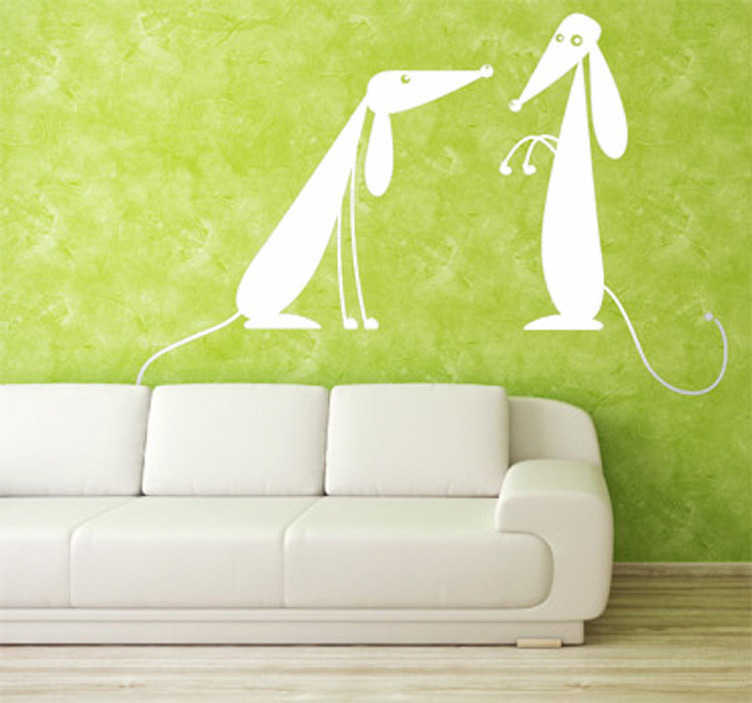 Dog Wall Stickers - Cute illustration of two friendly dogs to decorate any room in your home. Choose up to 50 colours and various sizes. The dog decal are easy to apply and leave no residue on removal.